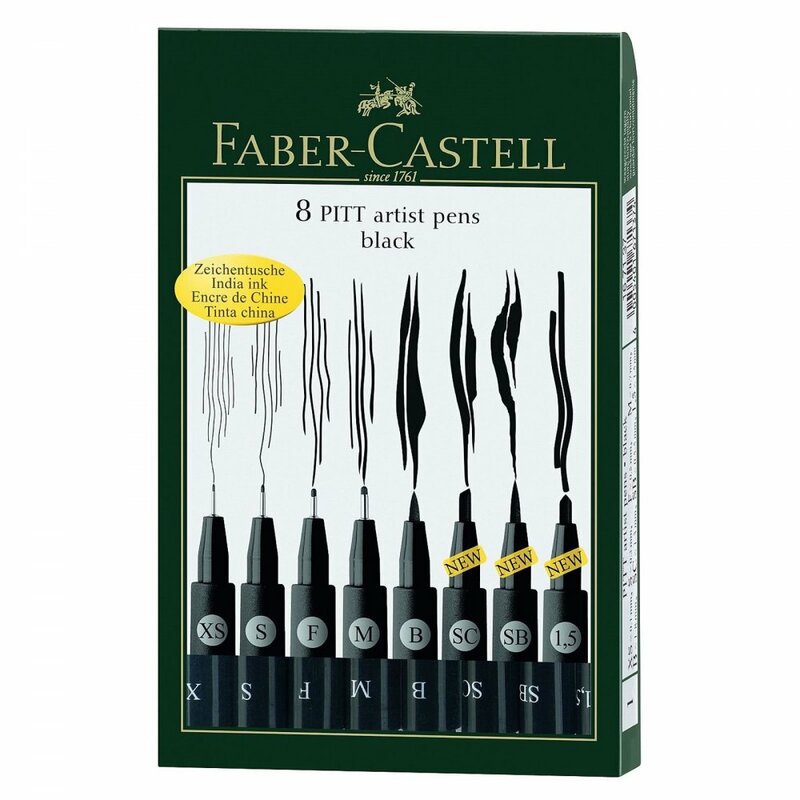 Faber Castell's PITT Artist Pens in an assortment of nibs for drawing and illustration. This eight pen set contains three new nib varieties as well as the PITT classic points and brush pen nibs. Waterproof, archival india ink for optimum lightfastness. Contains 8 Pens: XS (0.1mm), S (0.3mm), F (0.5mm), M (0.7mm), B (1-5mm), SC (1-3mm), SB (0.5-5mm), 1,5 (1.5mm). Showing 2 Faber-Castell Black Pitt Artist Pens - 8 Pack reviews. Average rating of Excellent. Would you like to write a review? These Artists Sketching pens from Faber Castell are perfect. With a variety of nib widths and shapes, providing endless possibilities. The quality of India Ink used for their production is all too visible, giving sharp seep free line's, assured to be visible for decade's of viewing your Artwork.